The ornate and rich looking style of this Gilt Cross Knights Cuirass ensures both personal protection and an impressive presence, so that both enemy and ally take notice of you on the battlefield. 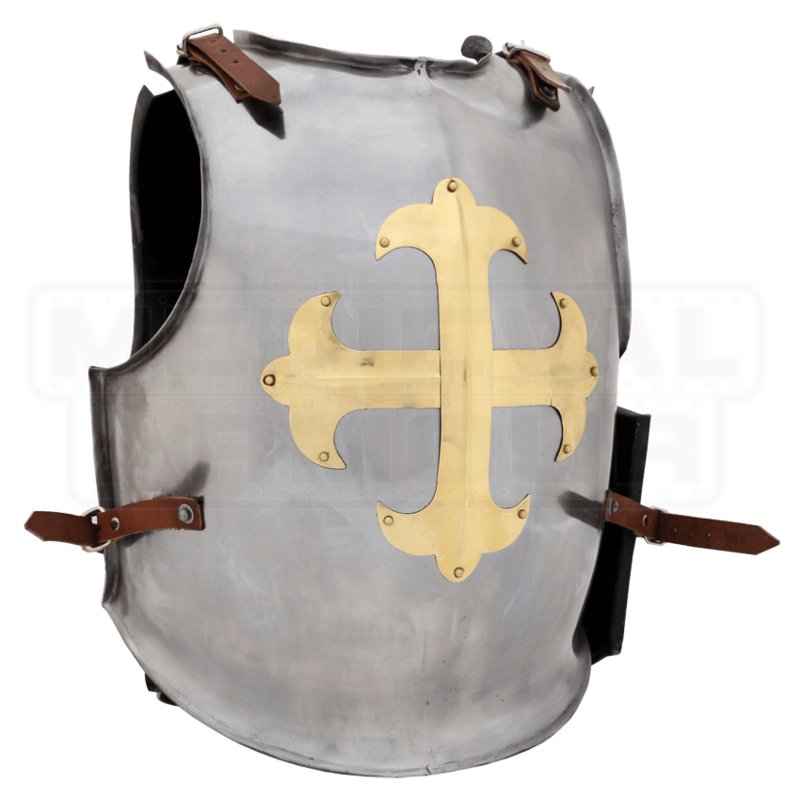 This breastplate is made with coverage in mind, featuring a full torso design that covers the entire front, from the neck, down across the shoulders, leaving space for the arms to move, and around the sides, down to the waist. 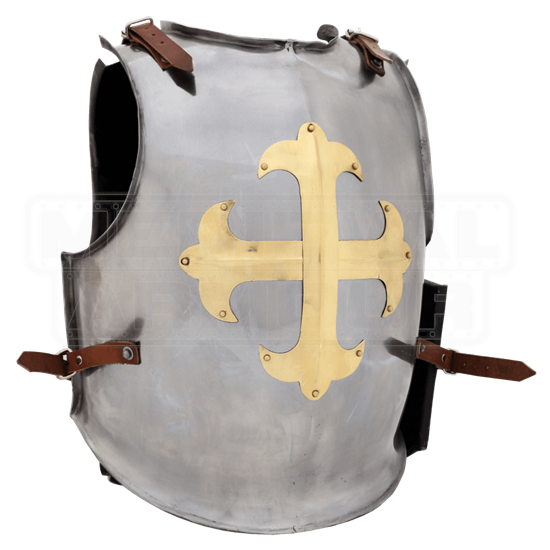 The breastplate is also somewhat stylish in its appearance, featuring a riveted brass cross on the front that possesses stylized fleur de lis terminals at each of the four ends. Attached at the shoulders and sides of the breastplate are leather straps, which connect the front plate to the backplate, ensuring total protection of your core. The breastplate and backplate are made entirely from 18 gauge steel. The armor is offered in one size, with an adjustable fit thanks to its straps. For those warriors who want to possess considerable battlefield presence, an impressive look is a must-have. This Gilt Cross Knights Cuirass is an ornate and appealing touch that will leave others with a lasting impression of your warrior figure.